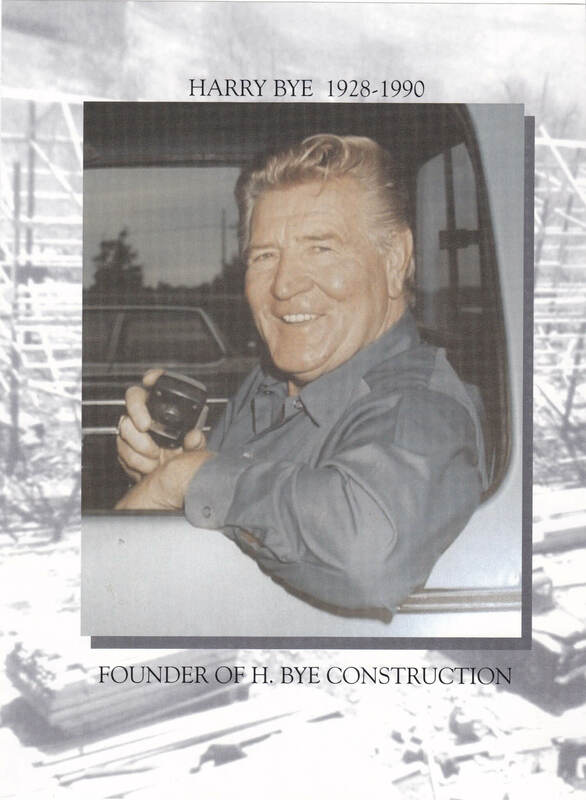 H. Bye Construction boasts three generations of Bye leadership and involvement. We want to say thank you to our valued employees, customers, subtrades, suppliers and allies for making H. Bye Construction what it is today. A business is like a wheelbarrow; it goes no where unless you push it. Then comes quality, practicality, responsibility, affordability, accountability and leadership. We couldn't be more proud of what we do, how we do it, who we do it for and who we get to help us. We are H.Bye Construction since 1954. Thank you for helping us get here. The Right Men, The Right Equipment, The Right Customer. This has always been the philosophy at H. Bye Construction Ltd. Since 1954, many great achievements have been accomplished teaming talented people and specialized equipment with a clientele yearning for a job well done, and built to last. From aggregates, concrete, commercial and industrial construction, industrial lots, residential lots and rentals, we offer specialized, professional services and products across South-Western Ontario.